Michael is the PBS Group Construction Manager directing the affairs of all construction activities domestically and overseas. 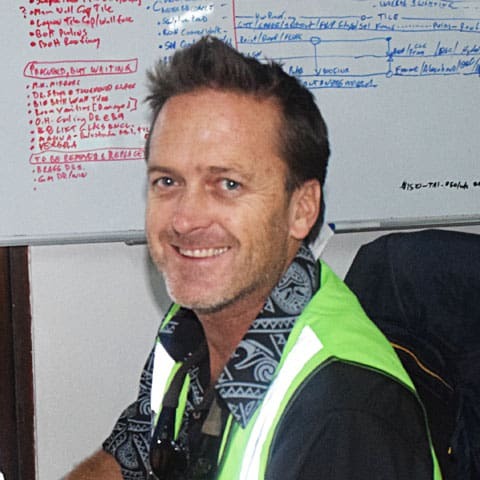 He is a master builder originally from Australia with over 30 years experience in the construction industry, 20 years of which has been devoted to Fiji and other South Pacific Islands. He is a great lateral thinker and his forte and interests are high-end, outer island design and build resort construction and movie sets. There is nobody more experienced in the South Pacific in these particular areas of specialty. Leith has been a specialist concreter for the last 22 years, working in Western Australia, Queensland and Fiji. He has undertaken large concreting areas as well as specialised epoxy systems. No project is too small or too big for Leith and you will find him on site and knee-deep in concrete as he is a hands-on manager! From 1988 to 1995 Leith was subcontracted to various builders in Western Australia in residential and commercial concreting including precast tilt-up slabs and civil works. He was then subcontracted to Finn International Mining Industry, until 2003, undertaking large-scale projects including specialised concrete applications, acid proofing and structural strengthening in Western Australia and Fiji. He made a permanent move to Fiji in 2003 when he was contracted with Fletcher Construction to do various projects including Suva’s Kings Wharf. Leith founded Concrete Solutions two years later and has grown CSFL to be Fiji’s leading concrete company specialising in domestic and commercial concreting, epoxy finishes, waterproofing, sand blasting and precasting. Concrete Solutions is now part of the PBS Group of Companies. Fish has over 35 years of commercial and residential construction experience; 20 years of which were spent in the project and construction management team of a large international commercial construction company based in Australia. 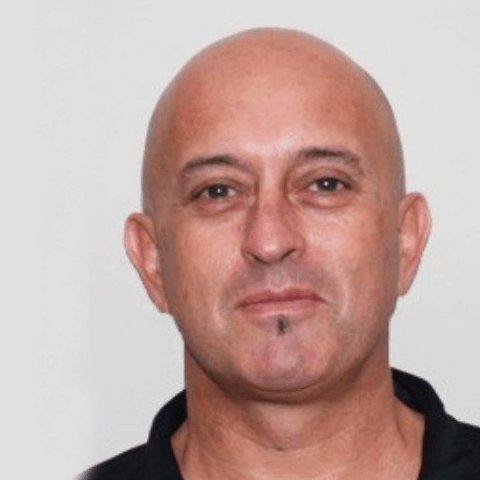 His skill set includes design and construction management of an extensive range of developments within the commercial, healthcare, sports and leisure, residential, resorts and hotels, education and correction facilities sectors in Australia, Fiji and PNG. Fish has an attention to detail like no other when it comes to project management, programming, contract administration and subcontractor management. Fish oversees all construction projects and PBS’ construction resources and assets including all field personnel, plant and equipment. Simon is a charismatic jack-of-all-trades. With a business and marketing degree from Monash University in Melbourne, Simon prefers to have his hand dirty with experience in metal works, carpentry and joinery, tiling, managing marine based businesses, civil works, road construction, building and maintenance. He has worked in Australia and Canada but spent the past 20 years in Fiji as a permanent resident. Simon adds great value to any project with his ability to take a holistic view, foreseeing and preempting potential problems before they occur. A respected industry professional with 19 years experience in estimating and quantity surveying, Avi joined PBS in 2009 as a Senior Estimator/QS, managing a team of Quantity Surveyors and Estimators. He has been instrumental in securing several large projects over the years including the Nadi International Airport Tender, a $95M project and worked for the Joint Venture from 2015 – 2016 overseeing project budgets, reporting and subcontractors. Now our Commercial Manager, he manages our team of Contract Administrators and Tender Team. A respected industry professional with 30+ years experience on challenging and complex projects all over Australia, Scott combines major project delivery across multiple sectors with proven construction management capabilities. He was instrumental with the completion of the $85M Pearl Resort redevelopment project and his role as Design and Construction Manager for PBS adds great value to any project because of his ability to take a holistic view, dealing with the bigger picture and his preemptive approach. Joining PBS as a proven joiner in 2008, Romit has progressed through the ranks in 9 years as a leading hand, joinery foreman and HOD for the single largest component of our Suva workshop and proud manufacturers of quality doors, windows and cabinetry – all custom made. His attention to detail and meticulous care ensures that all production and installation meets quality standards and client satisfaction. In January 2017, he has taken over as the PBS Operations Manager overseeing all in-house production teams including prenail/pre-fab, joinery, metal works, masonary and tiling departments and art and thatching workshop. With over 20 years experience, Eric is a highly qualified veteran builder with very strong management skills. He understands the engineering, development and delivery of complex projects and has project managed multi million dollar jobs in the Caribbean, Panama and the United States of America. With a Bachelor of Science in Construction Management from California Polytech University and his Environmental Engineering Studies, his extensive expertise is an invaluable addition to our construction management team. Salvador is a key senior manager in our Healthcare Division. He has a broad range of experience gained from working in Russia, East Timor, Singapore and the Philippines. He has spent time in civil and structural engineering environments and has experience on both sides of the construction/consulting divide. He is highly regarded by his peers and is committed to best practice project outcomes. Salvador has been instrumental in the successful establishment of our Healthcare division with his involvement as Site Manager for the CWMH East Wing Refurbishment Project and the Lautoka Hospital Refurbishment Project. Adrian has a broad range of experience gained from working in New Zealand, Australia, Cook Islands and Fiji. His skills as a builder are backed with well-developed leadership and management abilities and a reputation for delivering under unique and challenging circumstances. Adrian has been instrumental in the successful completion of many of our biggest tourism based projects around Fiji and has also enjoyed his time on Movie Sets construction. “Momo” as he is affectionately known, has extensive site management experience having worked in Tel-Aviv, Zambia and other Pacific Islands in the past 15 years. He is a very driven site manager effectively working to complete projects ahead of time and within budget with quality workmanship. He is well liked and respected by his peers and has the ability to lead and mentor local workers and ensuring compliance to building standards and safety codes. 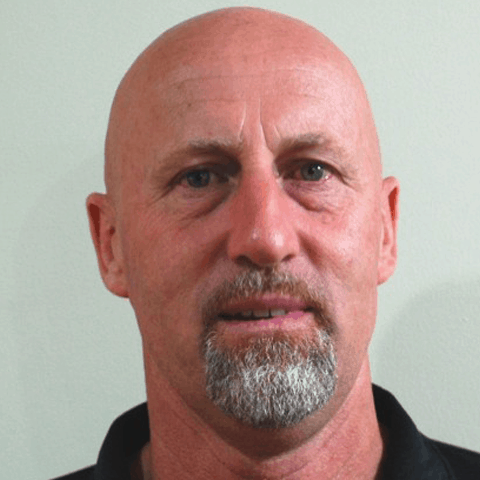 With over 20 years industry experience, Julian has worked for Government ministries and a number of private contractors both as a site based coordinator and safety officer managing site specific safety plans and systems. With the support of a team of safety officers and OH&S committee, he oversees the entire spectrum of health and safety related issues across the group and undertakes and implements our practical, people focused, company wide approach to ensure a zero harm working environment and preventative measures. A carpenter by trade, Blake continues to prove himself in a career spanning 30+ years combining major production delivery with proven management capabilities. His capacity to lead and direct multiple diverse teams in challenging and demanding locations stands as a testimony to his abilities; where every assignment under his control is managed, directed and administered to comply with the highest standard and smooth delivery regardless of its nature. Mark Acraman brings to the PBS Group a wealth of experience from the real estate and property development industry. In 2002, Mark obtained a Bachelors of Arts degree from the University of the South Pacific, majoring in Land Management and Development. Since then, Mark has worked extensively in the property industry for prominent companies like Rolle Associates, Raine & Horne and Bayleys Real Estate. By strategically using its resources and expertise in the constructions industry, Mark will manage the PBS Group’s plans to accelerate the business of sustainable land & property developments for industry, commerce, housing subdivisions and integrated tourism developments (ITD).